Justin Cooke from EmpireFlippers.com was kind enough to join me for an episode of the Financial Independence Podcast! Justin and his business partner created a marketplace for buying and selling online businesses so today I tap into Justin’s vast knowledge about both sides of online real estate transactions and take a behind-the-scenes look into the process of online business investing. Mad Fientist:	Hey, what’s up, everybody? Welcome to the Mad Fientist Financial Independence Podcast. I know it’s been a while since the last episode, but it’s been a crazy couple of months as we try to sell most of our belongings in preparation for our big move abroad. I’m happy to say that we made it to Scotland. Now that we’re finally settled, I’m hoping to increase my podcasting frequencies. Look out for some additional Financial Independence Podcast episodes soon. I’m really excited to share an interview with Justin Cooke from EmpireFlippers.com. Justin reached out to me after listening to my interview with Billy Murphy from ForeverJobless.com and he said he’d be willing to come on the show to dive even deeper into the topic of online business investing. Since I was already subscribed to the Empire Flippers’ blog and a fan of their podcast before he emailed me, I jumped at the chance to get Justin on the show to talk a little bit more about this stuff. And I’m really glad that I did. Justin is in a unique position in this space in that he runs a marketplace for buying and selling websites. He sees it from both side and he’s actually in the business of curating and finding good websites to sell. His knowledge on the topic is vast and I was really excited to talk to him a little bit more about what to look for when trying to buy an online business. I know many of you really enjoyed the episode I did with Billy Murphy, so I’m sure you’re going to love today’s interview with Justin. We actually had some technical difficulties during the interview. Justin is based in the Philippines. And for some reason, I wasn’t able to hear anything he was saying, but he was able to hear everything I was saying. Luckily, he decided to record his half for the interview and then he just sent it to me afterwards. I have to thank Justin for being a pro and rolling with the punches because it was probably really obvious that I wasn’t even listening to his answers based on the next question I was asking. He answered everything like a pro. After editing together, it sounds great. Maybe you’ll be able to pick up on the point where I was actually able to hear what he was saying, but hopefully not because it all flows. So without further delay, let’s get into the interview. Here it is, Justin Cooke from EmpireFlippers.com. Hey, Justin. Thanks a lot for being here. I really appreciate it. Justin Cooke:	Thanks for having me on the show, Brandon. I appreciate it, buddy. Mad Fientist:	Yeah! So, my audience may not know too much about you. So if you wouldn’t mind, just give a little background. I know you guys are doing some amazing things over there in Southeast Asia. Where exactly are you at right now? Justin:	I’m actually in Davao City, Philippines, which is the south of the Philippines. I’ve been here for over five years. My business partner and I started an outsourcing company here just about five years ago. So, we’re based in the Philippines. We’re both Americans. We decided to move out here to start this company that we worked for previously. Our major client was our previous employer. We basically outsourced our jobs and started a company in the Philippines. Mad Fientist:	No kidding! So tell me a little bit about that transition. Did you guys plan this for a while? Did you have a lot of money saved up to make this move or was it impulsive? You guys just headed out there? Justin:	We were making decent money working in the U.S. in southern California for our previous employer, about $70,000 year each. We were mid-level management for this small- to mid-size company. They have a real need for agents, for people because a lot of their processes were manual. It was required that they’re manual and it was online stuff. And so we started exploring setting up a full team in the Philippines, in an office and everything and then we pitched it to our bosses, our CEO and CFO. They went for it. They said, “Yeah, that’s great. We don’t want to own computers. We don’t want to have a Philippines company. So if you guys set that up, then we can just work with you. You can outsource yourselves to the Philippines and we’ll have a good relationship that way.” So we went for it! Mad Fientist:	That’s incredible! So how has it evolved since you’ve been there? I know you guys have made a few shifts since you’ve been out there. If you could talk just a little bit about what happened since you got there and how things have changed. Justin:	So those shifts were forced on us to some degree. We got out here and we had this relationship with our previous employer. And in less than a year, they started cutting back on us pretty dramatically. So even though they got us our started, we cut back. So, we were replacing with new clients and customers, but just not really fast enough. So it remained like a lifestyle job. It was a job basically. It paid for our living out there. It paid us a reasonable salary. But it wasn’t taking off like we expected it to. And then when they finally canceled, we had all these extra employees that were trained, that had skills that we couldn’t use. And so we started building these niche websites, small websites that are content-based that had some advertising on them. We just did that as a whim to help them cover their cost until we get them placed with a real client for our main company. We started building those sites and they started to earn a little bit of money and earned a little bit of money. We ended up realizing that maybe we could sell these to realize some cash flow upfront. That would let us expand the operation. So we started selling these websites off and we realized there’s this huge demand for profitable, earning websites. We weren’t terribly familiar with the space before. I bought a website previously and we’ve done a little bit, but we didn’t know the demand was there and that was so high. So we really started to focus on that for our business and started sharing it through our blog and our podcast. The response was just incredible. It was a lot easier than any previous business we’ve done before. I think there are a couple of reasons for that, but it just clicked like some of our previous businesses hadn’t. So that became our main focus, building, buying and selling websites. Mad Fientist:	That’s really cool. So obviously, you must’ve learned a ton about what to look for in sites. One of my previous guests was Billy from ForeverJobless.com. He was a big ecommerce guy and there was a lot of interest after that episode aired. I’ve even had readers email me and say they’ve actually purchased a site and they’re looking and they’re learning all about online business and things. Since you’ve been in the business for a while and you, no doubt, can compare what you’ve seen online to what you were doing offline prior to that, would you mind just diving a little bit into that, comparing the differences between offline and online real estate investments, just properties online versus actually buying a brick-and-mortar business or maybe investing in a rental property or something like that? How do they compare? Justin:	One of the things about online investments is that you’re able to get them at much lower multiples than you would be a rental property. It’s comparable in offline real estate in terms of years for multiples, in terms of how long it will take me to recoup my investment. Whereas online, you can talk about it in months. So for example, for an online investment, you may be looking at anywhere from, let’s say, 15x to 25x. Those are the months of net profit you’ll be purchasing the business or the website at. If it could stay the same, it would be expected to earn its money back. Now, the problem with that is that it’s a little more risky. So you may buy a website and within six months, it’s down to half of what it was. At the same time, you have the opportunity there too. So you’ll have a website that take off, that double or triple inside of 12 to 18 months. So there’s much more vitality I think. You can say this probably ten years ago or whatever. But then, the real estate market took a bit of a turn in the U.S., so there’s a volatility there too. But I still think the offline investments are a bit safer in terms of less variation or less fluctuation. But online properties I think have a ton of opportunity. And because it’s such a growing industry, it’s like an emerging market, I think there’s just a ton of opportunity to grab while it continues its growth curve. Mad Fientist:	Yeah, absolutely. The multiples are definitely very exciting. But as you’ve mentioned, obviously, if you’re getting such good multiples, there’s a lot of risk associated with it. So what have you found – well, before we get into that, let’s talk about where you’re at now and what you’re doing with Empire Flippers because that will lead nicely into what I was talking to talk to you about next. 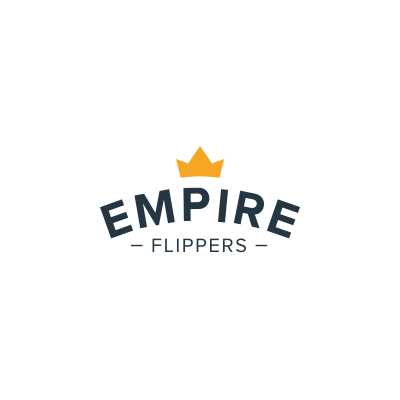 So yeah, tell us a little bit about Empire Flippers and the process you go through in finding sites to sell on your site. Justin:	So we were building out a bunch of sites ourselves and selling them off as little properties that people invest in. We realized that we just simply couldn’t create enough sites to meet demand. And there’s a failure rate that come with starting brand new sites. At least 20% to 40% of sites started would make nothing. So what we realized is that there is a whole bunch of people that wanted to sell on our platform. We’ve previously sold on Flippa, which is the number one place. It’s like the eBay for buying and selling websites. So we started selling privately to buyers and they started reaching out to us more and more. So we’d let them actually compete with us on our own marketplace that was intended for us to sell our own sites. We found just amazing value there. So there are these people that want to sell off, let’s say, an ecommerce site that Billy Murphy has or any number of the other guys that are talking about ecommerce and they want to work on their next project. They’re moving on to something else and they’ve got this asset that they don’t plan on working on anymore and they’d like to get some value out of it. So we have buyers lined up that are interested in taking over those websites and continuing to grow them out. Some people asked, “When’s a good time to sell?” I think a really good time to sell is when you don’t plan on working on the website anymore. So when you’ve lost that fire, that spark that you had when you started, it’s probably a good time to get out. We had a website that drags me $2000 a month. And over the years, we just kind of let it dwindle down to a couple of hundred bucks a month. Looking back, we probably should’ve sold that a little earlier rather than waiting for it to go down. So I think that’s a pretty good time for someone that owns one of these sites to sell, when their focus is elsewhere. When they’ve turned their attention to another business, that’s a good time to offload I think. We’re there to help those sellers out. Mad Fientist:	Yeah, that’s great. And the thing I like about your site compared to a site like Flippa, you seem to curate the ones that you sell. Flippa, you can put anything up there and there’s a lot of probably really spammy, nasty sites up there. But Empire Flippers, there are less sites, but the quality seems to be a lot higher. When you go to Empire Flippers, you can see something that presumably you or your business partner had written about the site and talking a little bit about what’s good about it, what things have been looked into and things like that. Can you talk about just what the process is when you came on a site to sell, what you guys look into and how much vetting you guys actually do? So all of the websites that got listed with us have gone through a vetting process which basically we’ve looked at the traffic and looked for bad link profiles, we’ve looked for sketchy traffic sources, fake traffic from bots and that kind of thing. We’ve also researched the seller. So we’ve gotten information on them. We made sure that their online profiles are real. They have real Facebook friends that are really commenting on their pictures and that kind of stuff. So there’s some accountability rather than just some random Internet person. So yeah, we look at a number of factors, including traffic and revenue sources as well to make sure that it matches up with their claims. That’s basically the vetting process we go through. We deny about 30% to 40% of the listings that submit with us. That’s right now. That may change in the future obviously depending. And then we list the rest, the ones that meet our criteria. Now, that’s not full due diligence because technically, we’re agents of the seller. We’re helping the seller sell their website. We’re representing them. It’s up to every buyer to do their own due diligence, but I think our curation process just limits some of the crap that you might see otherwise. If we just let anyone list anything, it would just get really messy. So you have a better chance of finding a gem. It’s easier. And I think you can trust the process a bit more. And when you’re doing due diligence as a buyer, it gets messy if we’re doing all these due diligence on sites that clearly are not going to meet the profile that we’re looking for. whereas, I think, with us, you have a better chance. I think you have to do less due diligence or you have to do it less often to find the ones that are interesting to you. Mad Fientist:	Yeah, absolutely. And something else, you have a blog on Empire Flippers as well. You give a lot of really excellent free content away to help prospective buyers do the due diligence. You give a lot of tips. And I have to say, your email autoresponder things is just probably one of the best that I’m subscribed to. I subscribed a while ago. But I remember you asked a question or two about what I was hoping to get out of the whole Empire Flippers interaction really. And then you just followed it up with so many really good emails that came every week. I just have to commend you on that. It was really interesting. As a buyer, it was very helpful as somebody who has not dove into this thing. It was great this great emails to teach me some of the tips of what needs to be looked into when you’re thinking about buying sites. So yeah, even though you’re an agent of the seller, you’re definitely doing a lot of stuff on the site to help prospective buyers as well, which is great. Justin:	Well, we have the marketplace problem, right? We’ve got both sides. We’ve got two masters. We’ve got the buyers and the sellers. And so although we’re an agent of the seller, it’s important for us to look at our buyers too. Most of our buyers are repeats. Close to half of the websites we sold are from people who bought from us before. So I think keeping them happy and keeping the engaged is helpful. The content, I get beat up by some of my marketing buddies. They’re like, “Look! You need to sell more in your emails. You need to shorten them.” I guess they’re too long a bit. But our thought is if we can share more information (and it’s free), I think it helps people to get to know us a bit better. It helps them to understand the process a bit better. Ultimately, that does bring in more sales by being transparent about the process and sharing all the information that I think a lot of other places don’t. So I think to help separate us from some of the other either website brokers or people online talking about building websites and that kind of thing. We have a bunch of buyers (or potential buyers) that said, “Look, I want more information on the sites for sale.” And then, some people on our email list didn’t select that option. They’re not that interested. So it’s easy for us to tailor the content to what they want. I’m not hammering people with websites for sale if they’re not actually interested in buying. If they want more information on selling a site, I can give them that information and not bother them with the other stuff. We call this the ‘choose your own adventure’ email list. You can choose the bits of information that are interesting to you. Depending on what type of buyer or seller you are, you can actually further drill down and we can send you content that I think is more relevant to you. Mad Fientist:	Oh, absolutely! It’s really great honestly. Every time I get an email from you guys, I’m always excited about it because you’re exactly right, it’s completely tailored to what I’m hoping to do and it doesn’t have anything else that doesn’t relate to me. So yeah, I definitely commend you. That leads nicely into your user percentage. There are a lot of different ways to skin this cat with online and business investing. You guys actually put together, I think, six different user personas. Each person, you give tips and then you say what kind of sites would be good to buy and what sites to avoid. So yeah, that’s an excellent idea. It’s great to be able to relate to different types. For instance, I sort of relate to DIY David and Lifestyle Larry. You give descriptions of each of them. DIY David is a tinkerer. He’s looking for a site he can purchase and grow on his own by actually getting hands on with it and things like that. That must have been a really big success for you guys launching that because it’s such an easy way to understand exactly what you’re looking for. And like you said, you can tailor messaging to those different personas. Justin:	We have the six profiles. We’re really categorizing people, but not everyone fits every single thing. It’s funny though actually, I’m glad that you related to DIY David and the Lifestyle Larry. The Lifestyle Larry is a pretty rare one. Most people are more into the newbie norms or the Portfolio Paul. The idea is that some people want a more passive investment whereas some people want to tinker with the websites a bit more. They want to play with it and figure it out and try to improve it. Personally, I like the Strategic Sally. They’re harder websites to find. But basically, it’s when you find a website that offers a product or service that’s a great match for your current audience or customer base. And so you can integrate that product really easily and get 2x to 3x revenue and profit per month on what they’re currently doing because you’ve already got the audience behind it or the customer base behind. They’re harder to find clearly. We have a bunch of sites listed. They’re more for portfolio investors. But every once in a while, one comes along that just fits someone really well and they can look at a more strategic acquisition. In fact, when people are going to sell their websites, one of the first things we tell them, depending on the ticket price or the listing price, they may want to reach out to the potential strategic buyers first before they even involve a broker like us. So they may have some others in their space that are going to see automatically the value in acquiring their ecommerce business or their Adsense side of their blog more than a Portfolio Paul would get out of it. So they could start reaching out to some of their competitors and find someone that’s able to buy it straight-up. They might get a higher multiple valuation than you would from someone who is just looking at it as a portfolio purchase. Mad Fientist:	That’s a really good call. Yeah, that makes a lot of sense. If you already have an audience, that’s easier. That’s the thing. I’m not very good at figuring out how to get traffic. My site has grown just really naturally. In spite of my efforts really, the idea of trying to grow a brand new audience seems daunting. Yeah, if there’s a good site in the financial niche that maybe you guys are selling, then maybe that would make sense for me since I already have an audience. Justin:	Well, your site is really interesting. I mean, you talked to Get Rich Slowly – I forget the guy’s name. 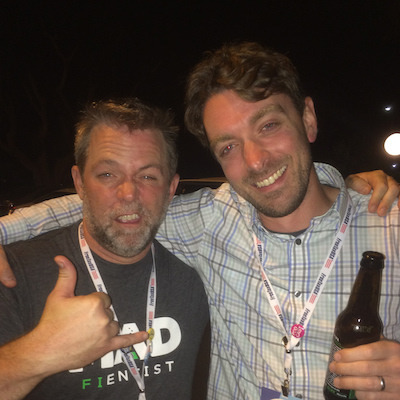 Mad Fientist:	Yeah, JD Roth. He was in the last one. Yeah, he sold his blog. I think he had a post on there that talked about some of the other financial bloggers that had sold their sites. One of the major buyers for some of those blogs was QuinStreet. QuinStreet does financial and medical education space there. They’re a whole bunch of things. But they were, at one point, buying up a bunch of blogs and bloggers that were in the financial niche. They crushed it through a bunch of strategic purchases, strategic buys of blogs that are out there. Justin:	I think you’re in a really good space for that, so there are people that are looking to acquire from the low end to the high end in terms of these blogs and podcasts. You’re building a blog that these people are going to be interested in over time. So yeah, looking at strategic purchase of your business would probably be a good bet. Justin:	I’m open to acquisition opportunities, man. Give me a call. Mad Fientist:	Right! That’s just something that’s so foreign to me. I just wouldn’t even think of it. But yeah, that’s the same thing JD said though. He said, “Why would anyone buy a blog?” and then he started getting just ridiculous offers. That’s different than some content-based website about credit cards or whatever. That’s not what people respond to. They respond to your podcast where you’re saying, “Look, here’s what I’ve done and here’s how I’m looking to gain financial independence.” Those are the things that really resonate with people. Corporations get that. Some of the larger corporations get that and they want to piggyback on your authenticity because they don’t have their own. They know that that’s going to help their brand, their long-term customer acquisition a lot better. I had a quick question for you. You talked a little bit about lending club and something they called alternative investments. One thing I think is interesting is if you haven’t checked it out is there’s a business called Realty Shares and there’s another one called Fund Rise I think. What they’re doing is – it’s a similar alternative investment strategy, but they do crowdfunding for real estate investments. So let’s say there’s a 20 property rental units they want to purchase. They’re going to raise $400,000 and $1.2 million in debt. So they’re looking for people to crowdfund this investment. They’d take anywhere from $5000 to whatever investment you like. They introduced third-parties, builders that have done this before and had experience. They’ll put together their proposal and you can pick and choose the investments that are interesting. Sometimes, it’s like a 12 months return. Sometimes, you’re looking at three years depending. Sometimes, they already have renters in place. And so it’s a really interesting model for offline real estate. We’re actually looking to put something together like that for online real estate that I don’t think has been done yet. It’s a really interesting space for investments. Yeah, I think it’s pretty interesting. If you get a chance to check that out, your listeners, I’d like to hear about it and see what they think. Mad Fientist:	Yeah, definitely. I’ll put some links in the show notes. That’s something I have not even heard about. That sounds interesting. That’s something you’re looking into doing for the online space. That would be pretty interesting, definitely. We’ve been a bit slow putting it together because we’re going through a redesign right now, but the interest is hot. I think it’s a really interesting space. If you look at the offline guys doing it, it’s cool. It’s really interesting. We’d like to put together something like that in the near future. I think it’ll first be like one-to-one investment, an investor looking to buy one website. They put in the investment, we run the site and we roll it out from there. We’ll eventually go the crowdfunding model, but I think that’s a bit too complicated to start off with. Mad Fientist:	Good idea! That’s cool. Yeah, it’s like just buying a rental property and then having a property manager that actually knows how to manage a property take care of it for you. You just collect smaller profits, but you’re still having a higher probability of success because you’ve got somebody running it that actually knows what they’re doing. I think this gives them an opportunity to get involved in areas that they wouldn’t be able to. It’s a DIY David purchase, but they only want to be a Portfolio Paul. It gives them an opportunity to play the game. Mad Fientist:	I think it’s an excellent idea. That’s really cool. I’m glad I’ll be there to hear about it whenever you guys do get it all done and worked out. That sounds like an excellent idea. I wanted to talk a little bit about long-term prospects. These multiples sounds great. It’s definitely a really exciting space. It’s very new compared to some of the standard investment options and things like that. You guys sold a lot of sites, have you dug into any of the data to see how many are successful after a couple of years? Justin:	Most of the feedback we get on this is anecdotal. We’ve heard back from people that said, “Oh, the investment dropped by about 30% to 40% in the last six months” and then we have other people that, “It doubled within 12 months,” so they already got their investment back within 12 months. It’s just of the feedback that they chose to give us. We haven’t gone around systematically to find out. It must be pretty good because just under half I think of our buyers are repeat buyers. So they bought web properties from us three months, six months, twelve months ago and they’re coming back for more. So it must be pretty good for them. I do think there’s a pretty heavy amount of risk though. There is some fluctuations. It tends to be at the lower level. Sites that are earning $150 a month or $200 a month have more variance than a site that’s turning $3000 or $4000 a month. I think it’s just because it’s not well-diversified in terms of traffic and in terms of monetization. So earning $120 could easily go to like $50 a month. That will be a huge hit if it dropped to that permanently. Whereas a site that’s earning $3000 or $4000 a month may drop by a couple of hundred bucks here and there, but it’s not as dramatic a drop. That’s one of the reasons that unless you’re a Newbie Norm and you’re just totally learning, you just want to get a feel for it and mess around with backlinks, in general, investors should look at buying larger properties rather than multiple small properties because the stability and the growth opportunity is bigger. So if you’re going to mess with a site, you don’t want to mess with a site that’s turning $200 a month because if you improve it by 50%, you only go to $300 a month. I don’t know how much time you spent on it, but that’s only $100 in additional net profit. Whereas if it’s at $3000, you go up by 50%, you’re at $4500 a month in net profit, which may make a more significant impact in your net. Mad Fientist:	Yeah, absolutely. I think Billy Murphy has a post called deworsification that we talked about when he was on the show. He said the same thing. Why would you get ten little sites and then be so stretched and not do anything good with any of it when you could buy one, focus on it and really ramp it up. Like you said, you’re dealing with much bigger numbers at that point. If you found something that’s resonating with your customers, your audience or something, do that. Do more of that. Ask them, “Is there anything else they need?” That’s your client base. It can get a lot bigger than where you’re at currently. Trying to diversify, it can get messy. Mad Fientist: Right. No, that’s good advice. I just want to move a little off that. A lot of my listeners, these are people that are good with money. They’re on the path to early financial independence. They’ve probably got a big chunk of cash in the bank. They may be looking to jump into this space. What would your advice be to someone like that? Justin:	Some of the easiest sites to purchase and take over and probably more passive would be a site that’s earning via Adsense. It’s got established traffic, it’s been around for a while, it’s been through some Google updates. It’s earning via Adsense. Another one would be something like lead gen. It’s doing lead generation for, say, the Education Space like QuinStreet. They’re working with QuinStreet. They’re delivering leads. You’re going to be paid for those leads. So those are more passive investments. They’re generally content-based and sometimes, geographically based. So really, the way to expand those sites would be to add additional content around that niche. And sometimes, it’s actually ads like localized content, something around the education space in Toronto or something like the education space in Chicago and adding content like that will be helpful. Those are easier sites I think to run and to understand. When you get into dropshipping, that’s a bit more complicated because you’re now dealing with vendors. But if you’re interested in that physical product space, I’d say maybe an Amazon site is a great opportunity because you’re selling physical goods, but you’re selling it through the safety net of the Amazon affiliate program. It has better expansion opportunities. An Adsense site is more content-based and lead gen is really just content-based whereas Amazon sites are selling a bit. They’re presenting a product and they’re talking about the benefits and the risk and that kind of thing. You can convert that to a dropshipping site. And then you can go from dropshipping to an actual full-on ecommerce site. If your dropshipping site is selling enough, you can get a container shipped off from China and start selling that and warehousing their products yourself. So I think there’s some expandability there. I think it really depends on how involved you want to be. If you want to be less involved, lead gen or Adsense. If you want to be more involved, cheaper site, look at Amazon sites or if you’re looking to spend a bit more, look into a dropshipping site. They might be able to convert to a full-on source ecommerce site. Whereas, sometimes, these ecommerce site, they’re awfully ugly. But they’re ugly through testing. The owner tested and realized that the buyers are more comfortable with this 2004-looking website and it sells more that way. So I’d be a bit careful when I start looking at adjusting design because that may have been already tested through. But I like the idea of moving down the rabbit hole in terms of going from Amazon to dropshipping, dropshipping to full-on ecommerce similar to an Adsense site looking to convert that to a lead gen if it’s in a high growth niche or space. There’s a lot more monetization you can do. There’s a lot more profit to be gained as you move down the value chain. Mad Fientist:	That’s really cool. I was just wondering what your opinion is on SaaS and things like that. Justin:	I think there are people doing it and at a lower scale too. So I’ve got a buddy that runs something called Fat Cat apps. He has one of those table press type thing. You have a table of options you can purchase. It works with WordPress. He’s got that. He’s got a couple of other web apps that he’s worked on. They’re not like wildly successful. It’s not a singular focus for him, but he’s doing it. I just think that a lot of times, people in the SaaS space are looking at a huge win. So they don’t want to sell a business at $50,000. Let’s say it’s making $2000 to $2500 a month in net profit. It’s just not the level. They’re thinking I want $50 million for my company. So until it’s that huge win, they’re not even interested in selling. We see them a couple of times. You see them every once in a while where one goes that has some opportunity. But often, they’re looking for the big wins. You know Clay Collins and Simon over there at Lead Pages? They’re crushing it. They’ve got a bunch of investment. They’re building out I think Lead Pages where basically, it’s to help you with your conversions, converting email opt-ins and stuff. They’re crushing it with their monthly recurring sale. There are players in the space that are building really, really good web apps. I think they’re a good example. But a lot of people that build these web apps that just don’t quite take off, a lot of times, I think it’s because maybe they’re not marketers. They’re developers, but not marketers. So we’ve actually done podcasts for non-marketers and how to market your product. I think a lot of times, they’re selling themselves short. They’re like, “I built this…” They care more about how it works functionally and less about how to actually sell it to people. So they’re like, “Functionally, it works this way and this way and this way,” but they don’t have a good product market fit or they’re not really promoting the benefits that are interesting to potential buyers. So I think a lot of times, from a buying perspective, there are some really cool web apps you can buy up for really, really cheap in a strategic purchase. So maybe you already have a business and this would be a great offering to them, but they’re willing to sell for $3000 to $5000 where you know you can make $3000 to $5000 a month selling it. So there’s a ton of opportunity in the buying space there. It’s just really hard to find those deals. It’s really hard to find the one that’s a great pick-up for you. Interesting sidenote, we use a piece of software to help track our agent’s time in the Philippines, the work they were doing. It’s called HiveDesk. It had been in beta. We’d worked with them through the process. They built it based on our feedback and others, I’m sure, that they had. Jo, my business partner, had another bit of feedback for them in trying to reach out to the owner. He’s like, “Wait! Wait! What are you talking about? No, I sold that. You got to reach out to these guys now.” We’re like, “What?! We’ve been using this software, paying…” – I don’t know, it was $100 a month at the time or whatever it was. We’re like, “What did you sell it for? Why did you sell it?” He said, “Oh, I sold it for three grand for these guys.” “What?! You’re crazy, man! We would’ve bought that. We would’ve paid out up to ten grand for that at the time.” He sold it because he didn’t really know. It wasn’t a huge win for him. It’s one of those things where if you’re going to sell something and you’ve worked with some people or whatever, that’s a good potential strategic opportunity too, someone that uses your software as a customer. Your customers might potentially be interested in purchasing it from you because they see the value. They’re using it, they’re paying you for it. Mad Fientist:	Yeah, that’s hilarious! And yeah, what you’re saying about not marketing and things like that, that’s exact type of software developer I am. I’m worried about features and functionality. Marketing just seems so foreign to me. Luckily, you guys are helping me along the path to figuring out that side of the world. So yeah, before we sign off, obviously, there’s a ton of good content on your site for anyone that’s interested in this stuff. But is there anything in particular that you’d say to look out for for someone who’s hoping to purchase their first investment maybe? Are there big warning signs that may be obvious to you, but not to somebody that’s just starting out? Are there any good resources that you’ve written maybe that you could point people to to learn more about what to look out for? Justin:	Yeah, it depends on what you’re interested in. But if you’re building websites, there’s a couple I’d like to mention like Niche Pursuits, Spencer over at NichePursuits.com. It’s great. There are some other guys like Anton from Dropship Lifestyle if you’re interested in dropshipping or you’ve got Andrew Youderian from ECommerceFuel.com talking about dropshipping and ecommerce. So those are the builders that I like and would recommend checking out. In terms of buying websites and things to look out for, if nothing else, make sure you look into the seller a bit. Have real, offline contact with the seller. Make sure they have a real profile. That’s an easy win. It’s an early win that you can do. That’s not going to guarantee the site’s great and they’re not BS’ing you. But people are less likely to do that with their real information and their real persona. So I think that’s a quick determinant on whether or not I would get involved in the site. So it’s a really good way to do it. Then there’s us, EmpireFlippers.com. We have a podcast on iTunes, the Empire Podcast. Have a listen. Mad Fientist:	Yeah, absolutely. I definitely recommend it. Justin, thank you so much for taking the time out of your morning to talk with me. And yeah, sorry about those audio issues earlier, but that was tons of great information. I’d definitely recommend everyone out there to go and subscribe to the email list and start getting all of those messages that are completely tailored pretty much to your interest. Really impressive. And yeah, I really appreciate it. Hopefully, some of my listeners and readers will maybe dive in and let us know how it goes. Justin:	Oh, thank you so much, Brandon. I really appreciate it. Thanks for having me on the show, man. Mad Fientist:	Yeah, no problem. Take care, Justin. Thank you very much to Justin for taking the time to talk with me. I hope you agree that he just has a ton of really great information to give. It’s amazing. I really love talking to these entrepreneurial guys. Their mind just works in such a different way to mind and they just have so many good ideas. We chatted with Justin a little bit offline. And just some of the stuff he was coming up with was amazing. So, I definitely recommend you head over and sign up to the email list and get all the good stuff that he sends out because it really is a lot of great information. I really want to thank Justin again for taking the time to be on the show. I’ll see you guys next time! Thanks for including a list of other website flipping websites. This is a topic I am very interested in. My pleasure. Let me know if you end up making a purchase! Great topic! Something that is very interesting to me. I never really knew how people made money or what sites were really worth until I started blogging and freelancing. Now my eyes have been opened and I’m like sponge – soaking up as much knowledge about making money online as possible. I never knew any of that stuff before starting my site either. It’s a very interesting world and there appears to be a lot of opportunity if you know what you’re doing. Glad you liked it, Steve! There’s a ton of great stuff over on Empire Flippers so enjoy! I loved this more than I loved the Forever Jobless article! I’ve signed up and I’m going through their resources for my own education as I’m a complete novice. I will keep you updated if/when I pull the trigger! Thanks for another awesome post! Nice! Definitely keep me posted! Thanks for another great podcast, MF! Personally I hope you don’t sell your own site any time soon! Haha, I don’t think you’ll have to worry about that! Glad you enjoyed this episode. Glad to see you’re back at it w/ both the blog and podcasts. Very good episode. We’re less than 2 years to FI and are starting to look at what we want to do post FI. I totally understand the concept and research behind passive index investing and that is what we’re doing with our primary FI/Retirement fund and will in the future. However, I find it quite boring and as a person looking at maximizing efficiency (like you) I find it maddening to think that there is no better way to invest your money. With more time on our hands in retirement, I’m excited to use any additional money as “fun money” to try different things to further grow wealth and I’m really interested in entrepreneurship as a way to continue to learn things and challenge myself. These online properties are a very interesting idea and something we’ll definitely be researching more in the future. Thanks for a great interview and another resource to help us on our way.